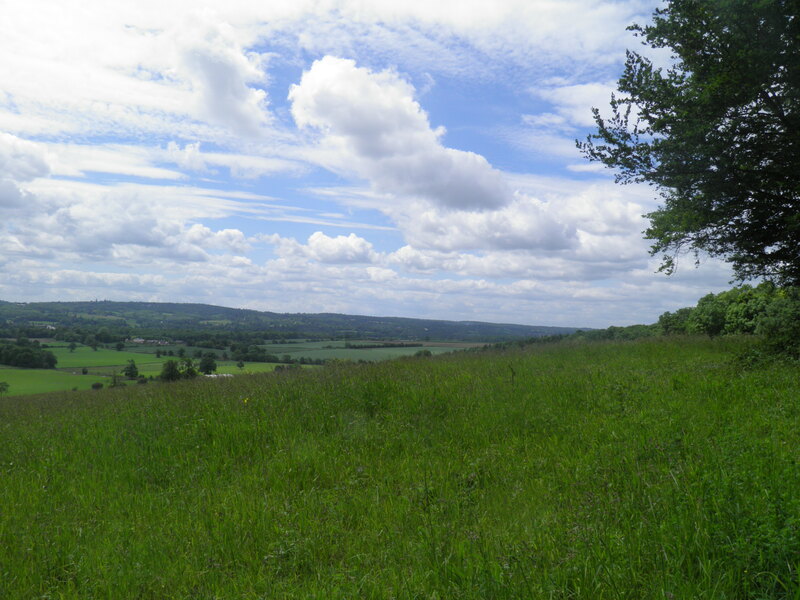 A fine day’s walking along the chalk escarpment of the North Downs on the Kent/Surrey border, with lush woodlands, pastures, meadows, fine views, and a peek at the Deputy Prime Minister’s country bolthole. 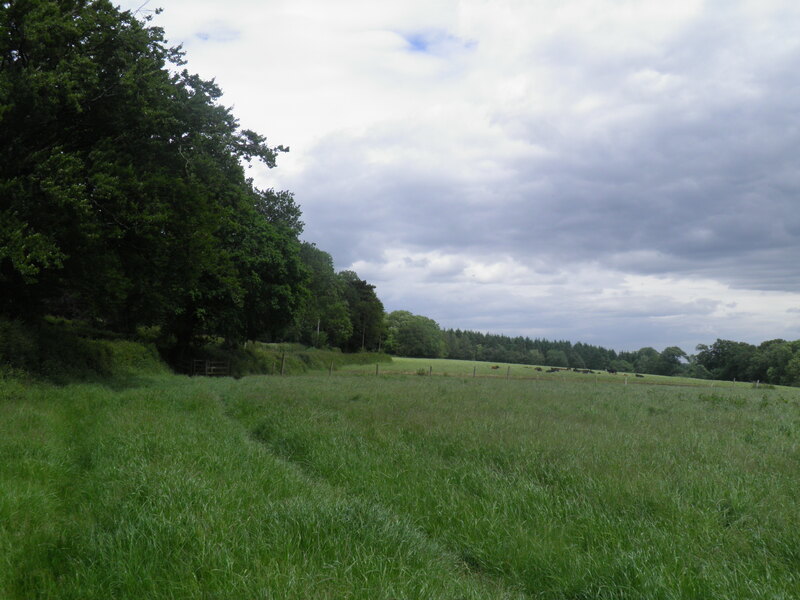 Underfoot: Portions of the walk are likely to be muddy except after exceptionally dry weather, including the first mile on the disused railway line and pastures used by livestock. However, this is interspersed with plenty of dry paths and minor roads. Good shoes recommended. 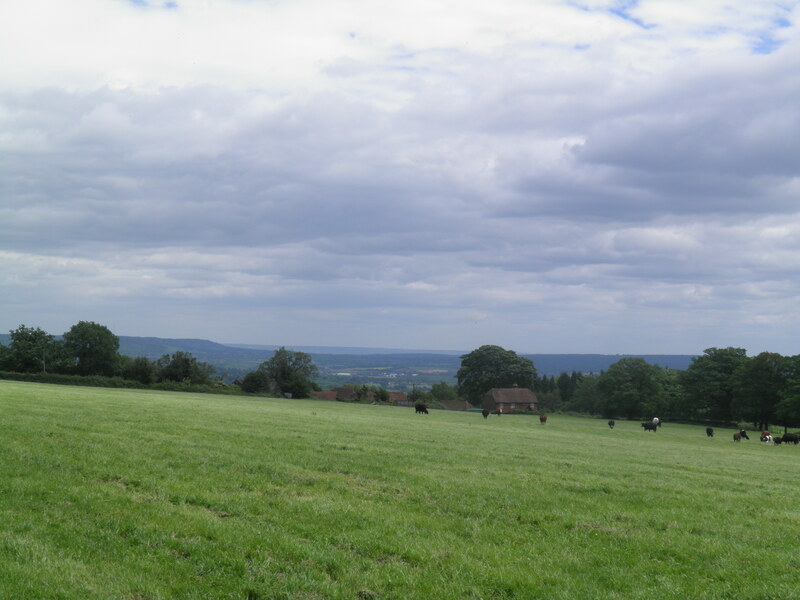 Terrain: A stiff ascent at Chevening and a similar descent from Botley Hill. The walk along the hilltops in between also has a number of short, sharp climbs and descents. Getting there: Dunton Green is served by 2 Southeastern services an hour (1 an hour on Sundays) from London Charing Cross (47 mins) via Waterloo East (44 mins), London Bridge (39 mins) and Orpington (11 mins) for connections from London Victoria and Bromley South. It can often be quicker to travel on a non-stop express service to Orpington from London Bridge and change at Orpington for the stopper – online journey planners will show when this is the case. 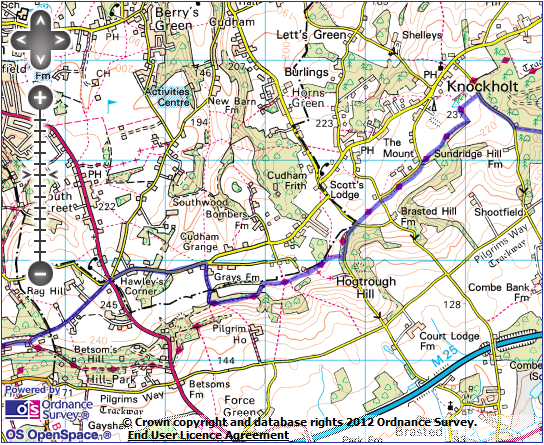 Useful websites: Much of this route follows the North Downs Way or the Greensand Way national trails. You pass close to Chevening House, which although not open to the public, has a website. Getting home: Oxted is served, Monday-Saturday, by two trains per hour to London Victoria (39 mins) and one train per hour to London Bridge (32 mins). All trains call at East Croydon (20 mins), for alternative trains to London Bridge or Victoria. On Sundays, Oxted has one train per hour to London Victoria. Fares: The start and end of this walk are on completely separate lines; however, in both cases they are situated only a short distance outside the London Travelcard zones. The cheapest combination of tickets, if travelling from or via central London, is therefore likely to be a zones 1-6 Off Peak Travelcard for £8.50 (£3.20 child, £5.60 railcard). For the outward journey you will also need a single from Knockholt to Dunton Green for £2.50 (£1.25 child, £1.65 railcard). For the return you will need a ticket from Oxted to the zone 6 boundary for £3.10 (£1.55 child, £2.05 railcard). via the footbridge to the London-bound platform and exit into the car park. Follow the zebra crossing markings to the isolated entrance to a subway – this formerly led under the platforms for the Westerham branch line, but now leads under a suburban garden. The subway brings you out onto tarmac path in an open field, which you follow round to the left to reach the main road by The Dukes Head pub in Dunton Green itself. Cross at the zebra crossing and turn left. Immediately after crossing an old railway bridge, turn right on the path descending and then head leftwards along the cul-de-sac below. At the corner of two roads, keep straight ahead, past a fence and onto a rough path through the trees that have now taken over the former railway line. 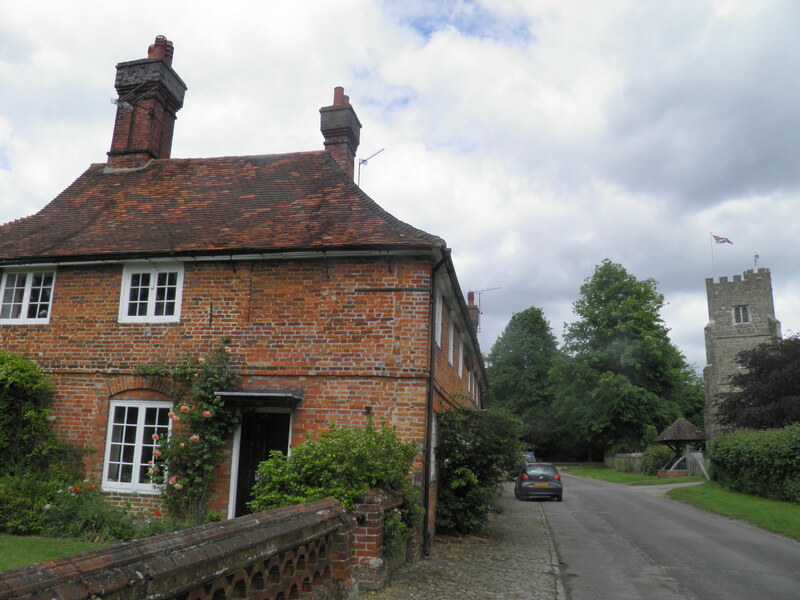 The former railway on which you are now walking was a 5 mile long branch line running from Dunton Green to the little country town of Westerham, opened by the South Eastern Railway in 1881. The section you are walking leads to the site of the first of two intermediate stations – Chevening Halt. The line began to suffer from competition from buses and rising rail fares from the 1930s onwards and the line closed in 1961. Various attempts were made by a local group and Kent County Council to restore services to the line, but these came to nothing. 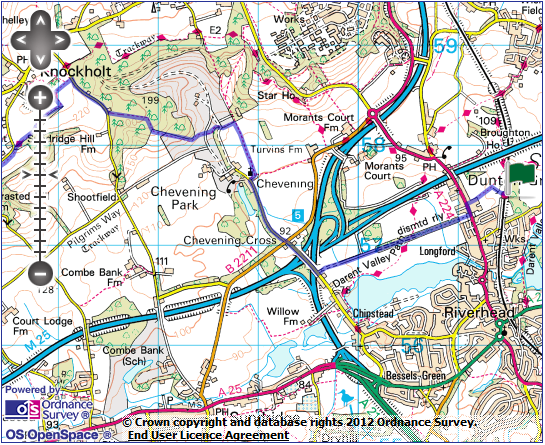 Beyond Chevening, much of the trackbed was subsumed by the M25, ending any chance of future re-opening. At one point, a missing bridge forces you to descend steeply to a stream, where informal stepping stones have been provided. Beyond, climb back onto the embankment. Where a footpath crosses the old railway you get a glimpse to the left of Chipstead Lake, a flooded former gravel pit. Beyond here, the old line becomes a long, straight track, gradually getting closer to the motorway. After about 1km, it becomes tarmaced as it approaches the houses of Chipstead, a suburb of Sevenoaks. Pass through a gate to exit onto Chevening Road. Turn left, climbing onto a bridge over the tangle of motorways where the M25 and M26 meet. Beyond, you soon reach the road junction at Chevening Cross. Keep straight ahead on the dead end road towards Chevening church. Follow this quiet road towards the North Downs escarpment ahead. You soon come alongside the brick wall of Chevening Park, with the hamlet’s cottages and church tower coming into view shortly afterwards. St Botolph’s church is set amongst the handful of picturesque cottages that make up the estate village of Chevening. There has been a place of worship on this site for around 900 years, the village lying just off the Pilgrim’s Way, which led along the base of the Downs escarpment to Canterbury. Much of what you can see today dates from the 13th century. Turn right beside the lych gate into the churchyard (footpath sign). At a junction of tarmac paths just beyond the church, turn left, passing through a footgate. Cross the track beyond and take the hedge-lined path ahead. just to the right. Here turn left over a stile, following the field edge on the left, across Chevening’s parkland. Cross a drive and continue to follow the left hand field boundary. 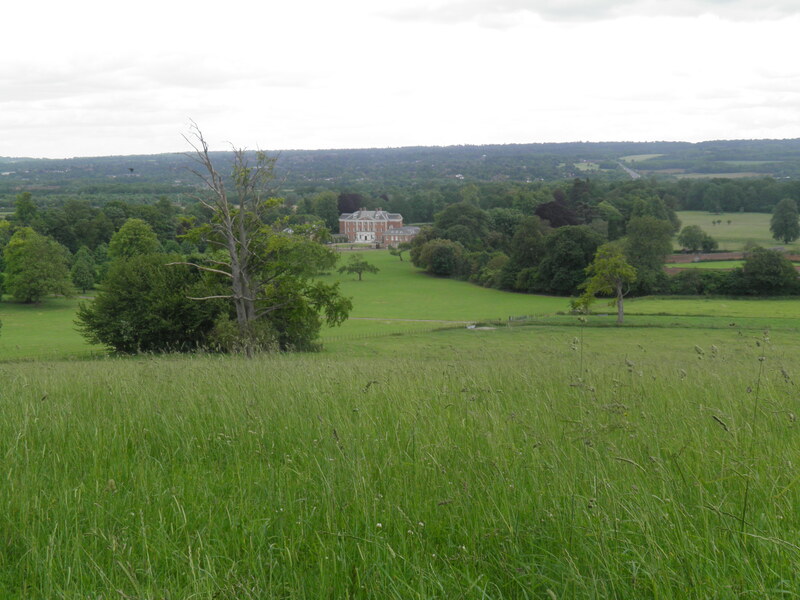 As you cut across the park, a fine view of Chevening House’s facade opens up to the left. Chevening House was the family seat of the Earls of Stanhope, designed by Inigo Jones in the 17th century and set amidst a 1,400 hectare estate. 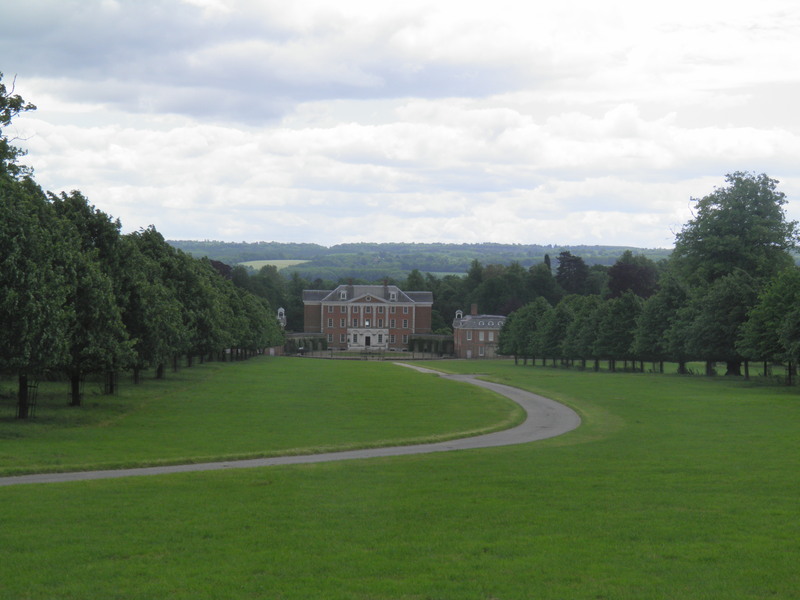 It has been suggested that Chevening was the inspiration for Rosings Park, seat of Lady Catherine de Bourgh, in Pride & Prejudice. In 1959, the final Earl Stanhope left Chevening to the management of a board of trustees, an Act of Parliament stipulating that its future resident should be a senior politician or a member of the inner royal family. For a while, it was thought that it would become the home of Prince Charles, but he eventually renounced his claim on it in 1980 and purchased Highgrove House instead. Subsequently, it has become the official rural residence of each Foreign Secretary. Following the formation of the Conservative-led coalition government in 2010, Foreign Secretary William Hague agreed to share Chevening with Deputy Prime Minister Nick Clegg. On reaching the House’s drive, turn left across the cattle grid, then immediately follow the waymarks right, beside a fence climbing gently to a wood. Follow the edge of the wood round to a kissing gate, then begin to climb steeply alongside the wood. At the top of the field, a squeeze stile leads you through a belt of trees and then alongside the edge of a meadow. Another stile leads you past a bench, with a fine view across the vale below, and into the woods, along a clear track. Keep straight ahead along this track until you reach Keeper’s Cottage and a minor road at the top of Sundridge Hill. Turn right on the road. You pass Knockholt Lodge and climb a short steep section of road. Beyond, a fenced-off track heads left. Immediately after it, look out for a stile hidden on the left-hand bank. 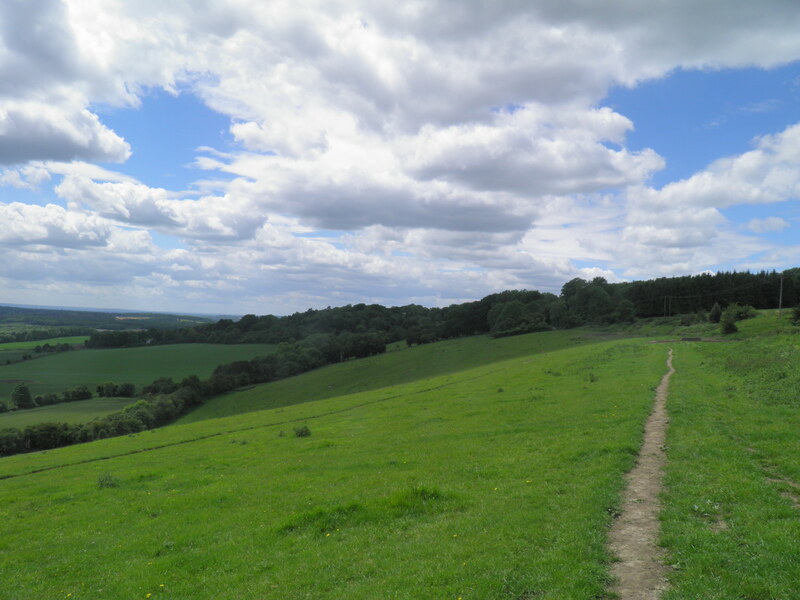 Cross to join the North Downs Way (NDW), heading straight ahead on a field-edge track. 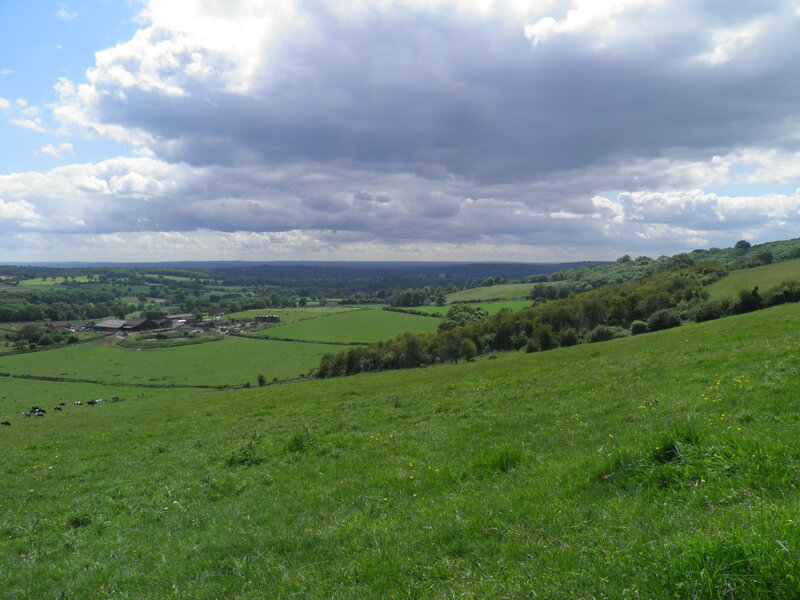 The North Downs Way, which much of this walk follows, is a 150 mile long long distance path (opened in 1978)running from Dover to Farnham in Hampshire, along the length of the limestone ridge of the Downs, roughly following the route of the Pilgrim’s Way. At the end of the field follow the track left, then at the next hedgerow follow waymarks to the right. The path runs along the edge of the wood towards scattered houses on the edge of Knockholt village. 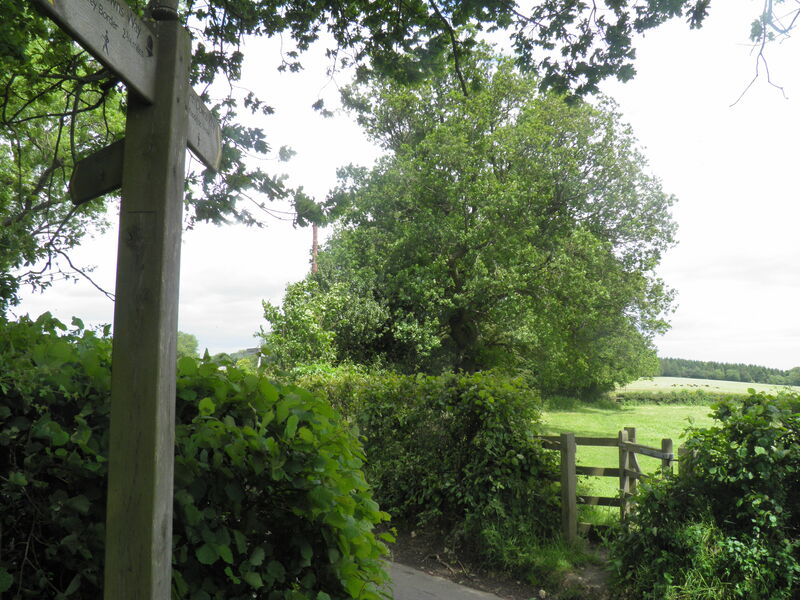 On reaching the minor road by these houses, do not cross the stile on to the road but cut left immediately before it, passing through a kissing gate and onto a path along the field edge beside the road. After 3 fields, you emerge on to a road by a T-junction. Cross and take the path opposite (signed as the NDW towards the Kent/Surrey border). 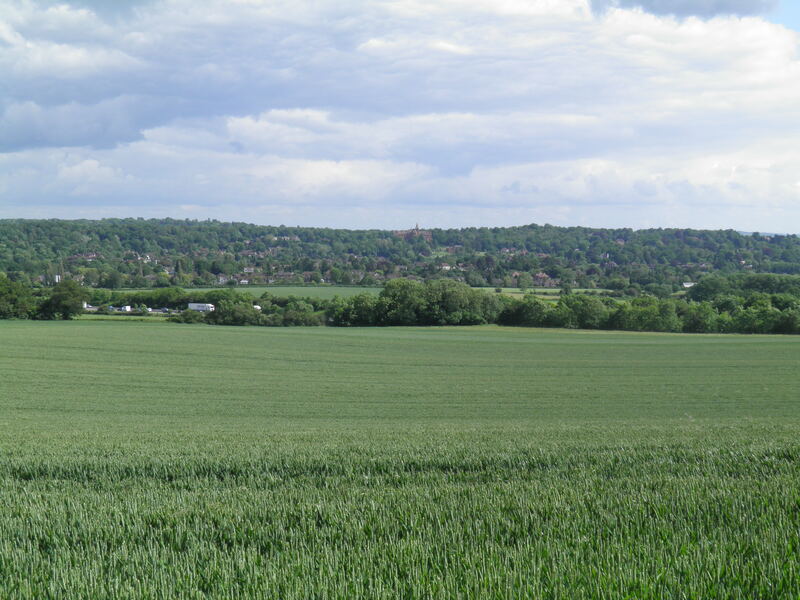 Walk straight along the top of the hilltop field, with fine views into Kent behind you, to another T-junction of minor roads. It is best to ignore the muddy NDW route for a short distance here and instead take the road straight ahead. The road drops gently through young woodland before very briefly climbing. At the top of this rise, cut right at a footpath sign. Through a kissing gate, turn right and after a second gate head immediately left, back on the NDW. At the edge of the wood head left, through a kissing gate. After a few hundred metres, you join a hedged byway past a group of houses. Where this bends sharply right, head left through a kissing gate, back into fields. Walk rightwards along a row of trees. 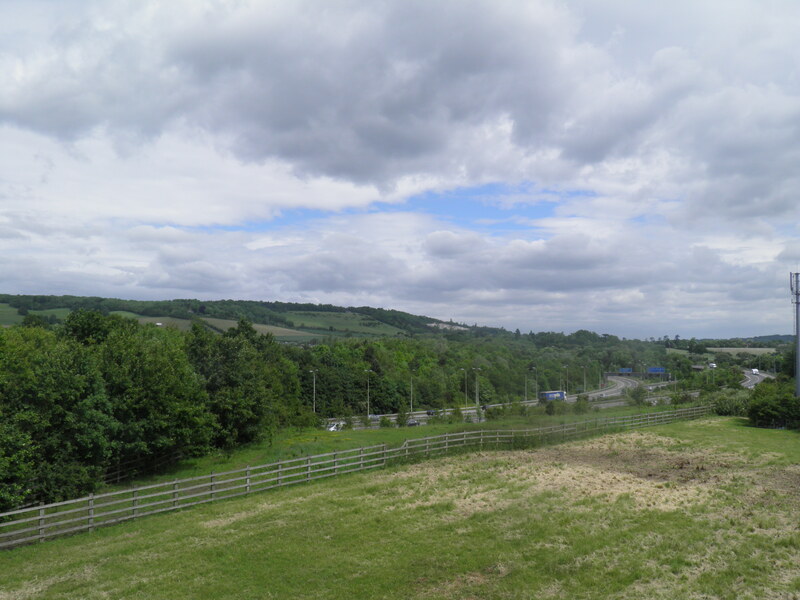 Keep straight ahead through 2 kissing gates into an arable field with fine views ahead along the escarpment. At the end of the field follow NDW waymarks left. 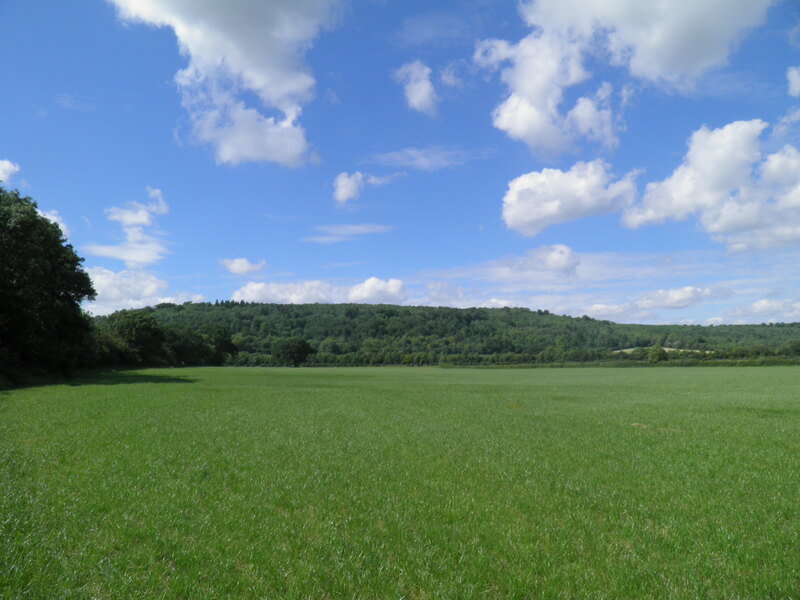 Pass through a wooded strip and emerge through a kissing gate onto a steep grassy field, with a panorama across Westerham. Pass through a gate at the end of this field onto a muddy track through trees. Ignore the NDW waymarks pointing left and keep to the track as it swings right. The track soon drops gently past the outbuildings of Gray’s Farm to a road. Turn left and follow this road – relatively quiet but quite fast, so take care – as it twists through fields to Hawley’s Corner. Surprisingly, given the sylvan setting, you have briefly entered Greater London here. 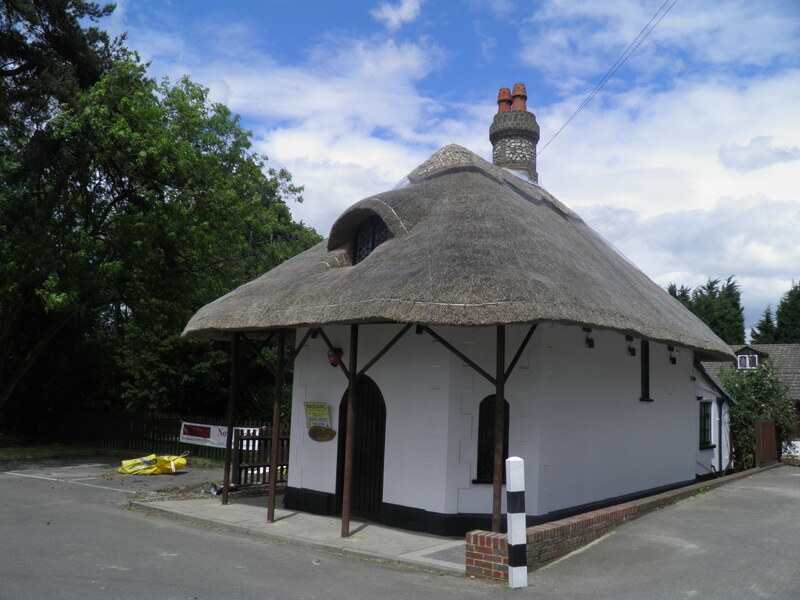 You emerge past an Indian restaurant and thatched Spinning Wheel Cottage onto the A233 at Hawley’s Corner. Cross with care and take Tatsfield Lane opposite, immediately veering left on unsurfaced Chestnut Avenue. This long, straight avenue – lined with eponymous chestnut trees – climbs gently over a low hill , past large houses and farms. Descending, you eventually reach a small road junction by a post box. 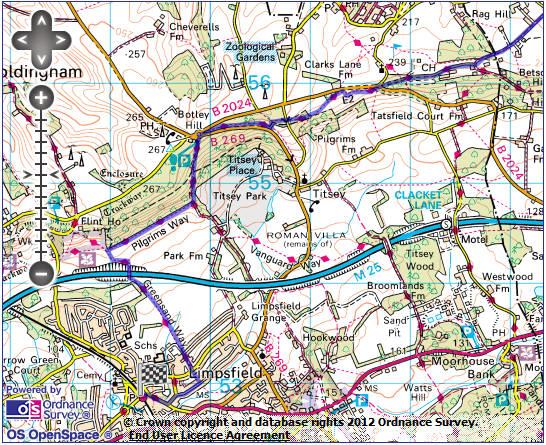 Head right (you are now back on the NDW), passing more hillside houses (including the appropriately decorated Mole End) then pass through woods to a road junction on the busy B2024. Cross the main road and follow the NDW signpost opposite, descending a flight of steps. At the bottom, through a kissing gate, follow waymarks right along the top of a grassy hillside. Halfway through the second field, you join a fenced path which briefly runs alongside the road before beginning to drop. The path cuts downhill across a lovely meadow and into a large wood. You cross a minor road and continue through some more open woodland, before following NDW waymarks dropping steeply to the left. The path turns right to run just above the B269, slowly regaining height. 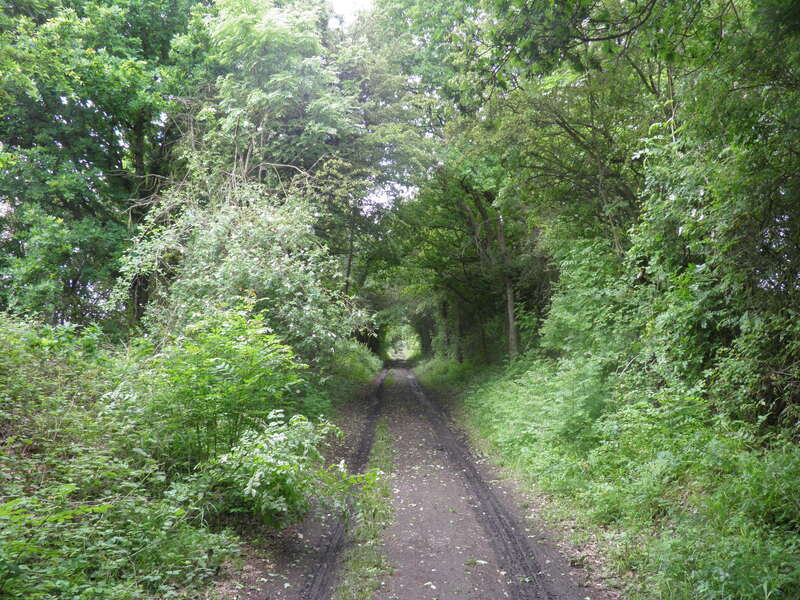 The path emerges onto the road at Botley Hill junction. Cross the road and turn right, then by the roundabout head left downhill through a gate (with byway waymarks), entering the Titsey estate. Titsey Place, a 16th century mansion built by the Gresham family, and substantially rebuilt in the 19th century, lies below the route, and is invisible from this walk. It sits in a huge estate of 3,000 acres, which includes this area of managed woodland on the steep chalk slopes of the Downs. side and you can follow a NDW signpost right up some steps. You now follow a lovely undulating path along the top of the fields, with huge views south over Oxted to the hills beyond, passing on the way a plaque marking the Greenwich Meridian. At the end of the second field, do not pass through the kissing gate but follow waymarks to the left, downhill towards the motorway. footgate. Cross the stile to the left of this gate and join the fenced path past school grounds. Joining a suburban road keep straight ahead. At a T-junction, cross and take a footpath almost opposite between two houses, descending to another road, where you turn right. At the end of this road turn left past the library to reach Oxted’s main street. Turn right, uphill along the bustling shopping parade. 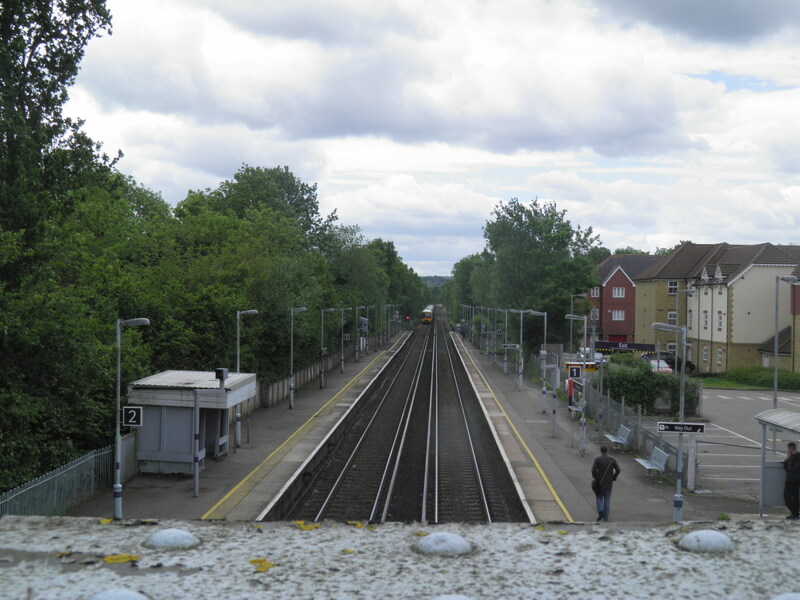 At the top of the hill, a left turn brings you immediately to the railway station – for trains to London, pass through the subway. Just wanted to say how much we live these walks, working our way slowly through them all. Thank you for putting this brilliant site together.